Regenerative medicine is breaking new ground in the medical field and changing patients lives. Many people discuss regenerative medicine as the emerging star of the medical world. Medscape offers a descriptive definition of what regenerative medicine is, “Regenerative medicine is an emerging interdisciplinary field of research and clinical applications focused on the repair, replacement, or regeneration of cells, tissues, or organs to restore impaired function resulting from any cause, including congenital defects, disease, and trauma. It uses a combination of several technological approaches that moves it beyond traditional transplantation and replacement therapies. These approaches may include, but are not limited to, the use of stem cells, soluble molecules, genetic engineering, tissue engineering, and advanced cell therapy.” Regenerative medicine is a breakthrough in science and medicine and can literally save lives. Often, items and materials involved in regenerative medicine must be shipping between laboratories and medical centers. The distance these items needs to be shipped can vary greatly, from shipping down the street to across the country. Regenerative medicine materials tend to be incredibly temperature sensitive and can easily be damaged during transport by a number of factors. For this reason, it is necessary to use safe, reliable and temperature sensitive devices to transport regenerative medicine materials to ensure they arrive safely. 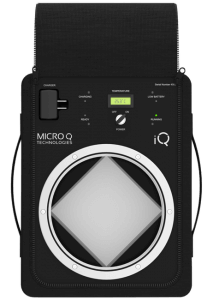 The MicroQ iQ regenerative medicine shipping device can actively heat and cool to maintain the desired temperature at all times. Should the device sense a change in ambient temperature or humidity, it will actively adjust itself to continually maintain the preset temperature. It is controlled by a microprocessor, making it incredibly accurate. Additionally, the device is lightweight and durable. It’s lightweight structure will keep shipping costs down but that does not mean it is flimsy. It can withstand any rough handling it may encounter during transport. Regenerative medicine materials must be protected by durability and stable temperatures, and the iQ regenerative medicine shipping device can do just that. The device is also reusable, making it the “green” choice of shipping containers. With regenerative medicine, you may find you need to ship often and may need to set different temperatures. The iQ device can be reused, which will help keep shipping costs down and simply needs to be recharged, reprogrammed and shipped again for whatever your needs are. Regenerative medicine materials should be handled with great care as they will often play an important role in life saving procedures. When they are so susceptible to damage due to changes in temperature, no risk can be taken. 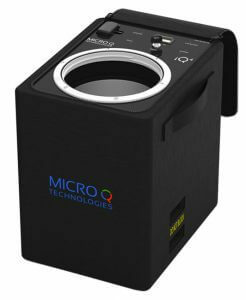 The MicroQ iQ regenerative medicine shipping device will protect regenerative medicine materials during transport and beyond. It will ensure materials arrive in ideal condition for use, avoiding costly damage and risk to patients.